Please DO NOT enter chat room once circle is cast. Please feel free to bring a yule log if you are able to get one, the choice is yours. This will be a time to set our wishes for the coming of this new year! 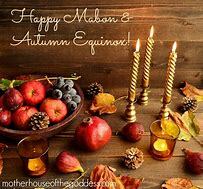 Our Winter and Summer Solstices have very auspiciously aligned with the coming of the full moon, the last and final for this year of 2018. Please take the time to set your intentions, your wish, your desires, call it what you may, release what is no longer need in order to make room for the new. All Hail to the Great Selene! This is a celebration of rebirth and renewing of the old. The start of a longer, lighter days as the Lord of the Sun rises from sojourn with the Goddess. This is a time to welcome back the Sun. A time to celebrate knowing that the warmer days of spring are ahead, and the dormant hearth will come back to life. Below is a picture of the Solar Cross that will be drawn on your paper with your wish. Midsummer night eve of importance to many people. This is the longest day of the year, a day on which both light and life are plentiful. This is the time that the Sun God is at his strongest and his day is celebrated by burning his sun wheel. This was to ensure fertility and prosperity for the coming year. This is also celebrated for the Goddess, as she is now with Child and reflecting the abundance of nature’s growth. This is a time of purification. Below is a picture of a Sun Wheel that will be drawn on your paper with your wish. I cast this circle three times three with the assistance of the Great Mother and the Great God. I call Upon the Guardians of spirit to protect us from above and below. As is above so is below, as is below so is above. May the power of The Great God and The great Goddess join us within this circle now, to protect us and to work with us and allow us to see beyond the veil. Protect us Great Mother and Great God for all gathered here and those afar who are unable to be with us. Allow no negative energy to touch us, to harm us and that nothing we call upon will harm us and others. We come together in perfect love and perfect trust. Hypatia – Merry meet brothers and sisters and honoured guests. It is the time of the Great Goddess in her full glory beaming her essence down on this Great Earth Mother. May we Honor Her for her gifts of love and kindness. May she bless us with her wisdom and may we have the courage and wisdom to walk our path on this Great Earth. I light this fire in your honour Great Mother Goddess, you who have created life from death and warmth form cold. Once the time of the Sun lives. We invite you great mother to our circle, bring us brand new light, that of your glorious Son. Now we look to the Great Earth Mother, Goddess Selene, as guardian of the sky, the sea and of all Gods and powers. Victory is in your name. You are the source of peoples and all Gods. Without you nothing can neither be born or made perfect. I pray to you great mother, be present here with your virtues, grant me my wish, give me what I need and only that. Ancient God of forest and sky. I welcome you as you return form the shadows. Ow Great Lord the wheel has turned, I welcome you back to warm us. Great Lord I welcome your return and may you shine brightly upon this Great Mother Earth. Mother Nature, Lady of the firmament, bless thy fruitful womb which I honour. God of fertility and fruitfulness. Blessed Lord of the blazing Sun, seed and nurturer of life. May you be blessed. Using your pen and paper please draw your symbol allocated to your Hemisphere. On top of the symbol please write your wish. Lord of the Sun that rides the westerly wild wind. As the seeds flourish and the fall into the waiting earth. I know this to be a time of equals allowing natures scales to come into balance. As the dark winter shadows reveal the wheel-a-turning it unveils life’s glory through a deathly silence. O Great Goddess, watcher of sacred magic and long gone myths, show me the way to great wisdom. Show me the way Great Goddess! When you are done please have your container safe and ready to burn the piece of paper with the wish and the symbol. During this time, please meditate for a full 5 minutes on the wish. Let my mind and my hands be dedicated to the service of the God and the Goddess. Ancestors of blood and ancestors of spirit, I thank you for your presence and your blessings. May there be peace and honour between us now and forever. Hail and farewell. Spirits of the land, spirits of this place, I thank you for your presence and your blessings. May there be peace and honour between us now and forever. Hail and farewell. Thank you bright Lord for the light you have brought to us this night, may we carry it with us throughout the year that is coming. Great Lady who is ever so gracious with her nurturing caring ways and infinite wisdom. Live within us throughout the coming year.